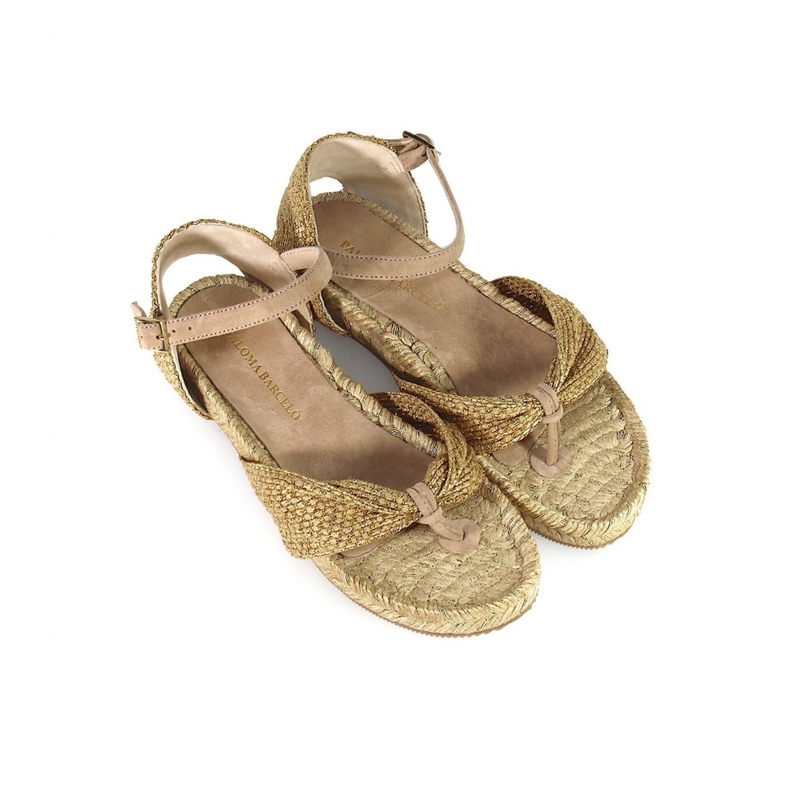 Paloma Barcelò thong sandal in canvas and jute with golden lurex inserts. 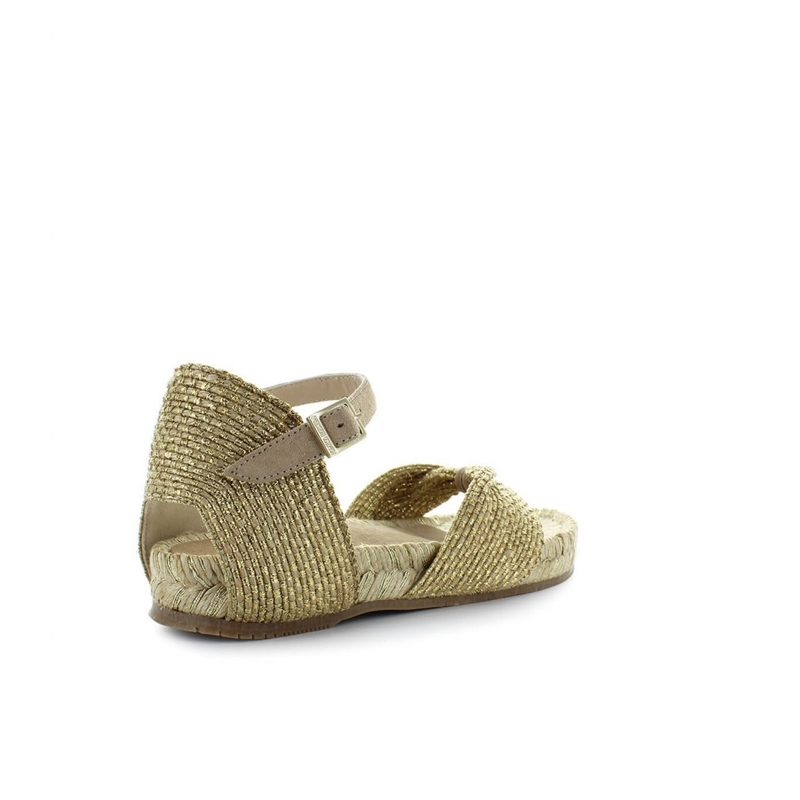 List in suede to the ankle. 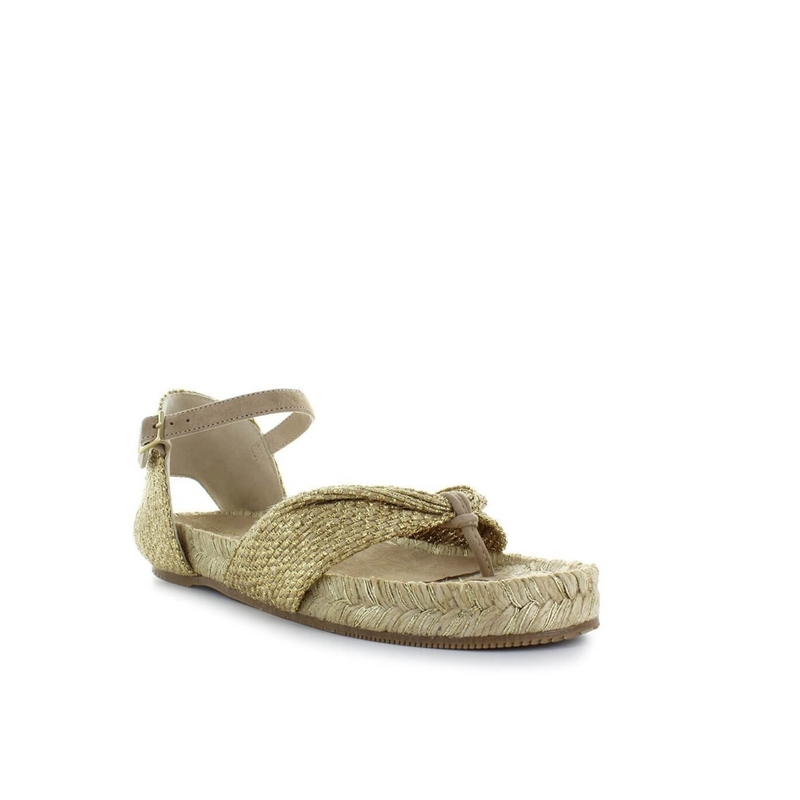 Braided rope sole with natural rubber sole. Height 2.5 cm.